If the mind is not engaged, the body doesn’t work. And your body will only perform to that level that the mind is engaged. If the mind is only in 1st gear, the body can only go slow. If you don’t know that there is a 2nd, 3rd, 4th, 5th, and 6th gear, your performance will always fall short. Also if the mind is divided in its attention thinking, or thought process, you will not be able to focus at the necessary 100% level on your objective. Before the body can make any successful changes, the mind must make those changes first. In order to perform better, you must first “think” better. And if you don’t like the mental program in your mind, take it out and replace it with one having all the necessary improvements that you need and want. The past doesn’t have to become the future. You don’t have to repeat your mistakes if you don’t want to. If you evaluate each performance and apply what you learned, the future is unwritten. But as “unwritten” as it is, this procedure directs the future in your favor. And we know that success favors the better prepared rider. 1. Those developed while at the race track. 2. Those brought with you to the track. Either type encountered and not managed correctly, will conquer your mind and lose the race for you. Mental mismanagement is the major reason why most riders never see the winner’s circle. Correct mental management teaches you the methods to control and manage fatigue, pain, depression and failure. It also teaches you the methods to direct your life into fun, excitement, pleasure and passion. Learning these mind controlling abilities are an absolute must if you intend to be #1. Mistake racing is filled with mistakes that cause falls, injury, pain losses, failures and setbacks. For this type of rider the past always becomes the future. And this is the painful side of the body’s emotional continuum. This is the side that the body will always move away from as fast as possible. That is to say, the mind and body have been programmed to always avoid or stay away from the negative side of the continuum, whether mental or physical. And by the same token, the mind and body will always rapidly move into the positive side of passion, pleasure and fun. Mistake free racing is always fun, very enjoyable, filled with passion and pleasure. It follows the winning road of success. This method of racing correctly associates the fun filled riding and racing, with winning and becoming #1. Beating the best is never easy and always demanding. It demands that you always focus and concentrate all of your mental and physical energies to the task of racing all the time Monday through Sunday. You must be 100% committed to doing this. This is the disciplined procedure practiced by the BEST. And to win or beat them, you must do at least what they do. If you want to be competitive against them, you can’t allow your mind to be divided by yourself or others. 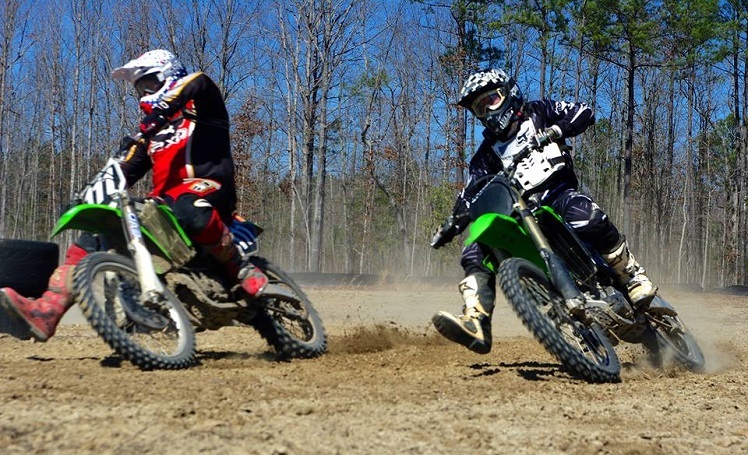 Mind management for motocross racing is a very important factor in becoming #1. If you don’t evaluate your mental and physical performances, applying what you have learned, you will remain a part of the problem and you will be divided and fail to those who do. It is a painful road for the rider who doesn’t continually strive to improve his performance. The bottom line here is, either learn to control your mind knowing both how to keep it from being divided and how to reinstate or re-focus even if divided or broken in focus.